The rules of use are already in place, K.
The League has eyes on the game at all times. The question is how to best use those eyes. During the last 2 minutes of the half and game all PLAYs are reviewed. You can never have a blown call or non-call decide a game. That is the bottom line. There is a missed call on every play of every game. Holding, illegal contact, hands to the face etc etc. All judgment calls. This particular play was just obvious. But who decides when a a missed call is obvious? Some are suing. 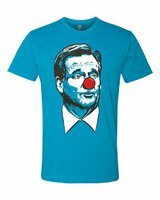 They want Goodell to use a rule allowing him to authorize a replay of the last 1:49. Of course, another part to the rule pretty much states that omissions by refs do not warrant a replay. Would that be fair to anyone, a replay? Even if it were technically legal by NFL rules, don't think that would satisfy many. Really all you can do now is move on. And make changes to prevent something like this from occurring again. This one was priceless - and Francesa of the FAN in NYC was fooled by it, thinking it was authentic. Lol! If you are going to sell your product to the world and allow the broadcast of replays where the entire known universe knows if a play was called right or wrong, then the League can not be the ONLY party to get a call wrong and do nothing about it. It undermines the credibility of their product in a huge way. The League will soon have a team in Las Vegas and allow full blown sports books to bet on the game on a wide spread basis. They simply can not allow blown calls to go uncorrected. Aside from a public lynching of the offending Reffs, no solution other than league Office over rule will cure this issue. The Cow is out of the Barn. When the full sports book is open I could see guys with crooked noses showing up to refs homes that blow calls that negatively affect the spread. Robot refs might be the only safe option...for the refs. Like the Mailman whose head was shoved into the Pizza Oven who delivered the bad Report Card to 'Hendry Hill's' parents in Goodfellas. Lol! I see a fine in that man's future. Hoping the Rams win but think the Pats do. If the pats win again they might as well re-name the superbowl as the pats bowl, playing for the brady-bellichek trophy. Detailed breakdown of both teams by Barnwell. Very detailed...enjoy the read over a cold adult beverage. Really interesting (to me) how McVay (and others) help their young QB's diagnose defenses when the QB is under center....but when comms cut off at the 15 second mark, the QB is on his own. Also discussed is a knee injury that Gurley apparently is playing with. How much will he be used, and how much will Andersen? Spoiler Alert....he picks the Pats 27-23.